Detective Nancy Penrod’s right hook is better then her bob. She pulls no punches, that is, until she returns home. For the past month, Penrod is the sole detective for the crimes against persons division of the Platte County, Missouri sheriff’s department. On the clock, she investigates the County’s murders and molestations. While at home, she navigates her granddaughter’s sixth grade science homework. Her life is a constant struggle between tenderness and grit. All photos taken in and around Platte City, Missouri between the dates of September 22nd through September 25th, 2014 while participating in the Missouri Photojournalism Workshop - 66. Detective Nancy Penrod, a 17 year veteran of the Platte County Sheriff’s department, was the first to arrive at the scene of an accident on an offramp of Interstate 29 just outside Platte City, Missouri. Detective Nancy Penrod visits the Cyber Crimes office in the Platte County Sheriff’s department looking for clues in the data retrieved from a GPS found in a possibly stolen pick up truck. The “Baby” Glock 26 Gen4 issued to Detective Nancy Penrod sits on her dresser as she changes out of her work attire. She opts to carry the smaller police issue Glock because “women’s suits are not made to carry weapons, the larger Glock tears my clothes up” – Nancy Penrod. 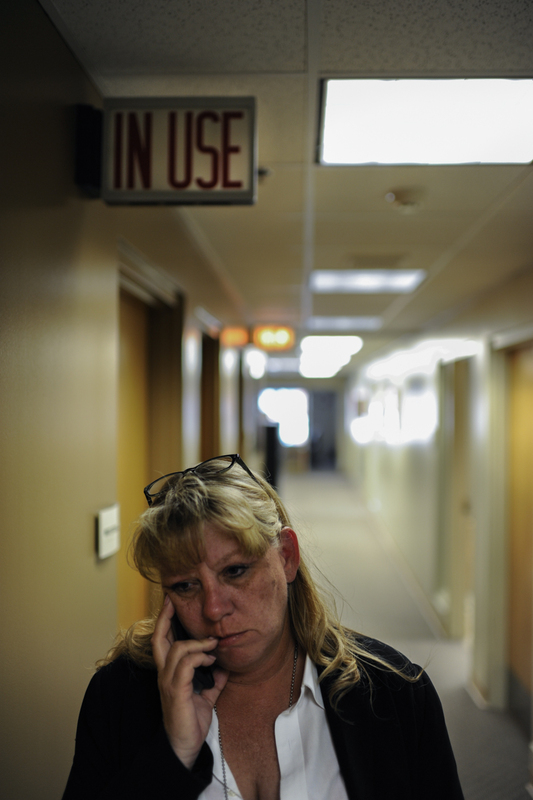 Detective Nancy Penrod leaves after interviewing a witness at the scene of a crime. 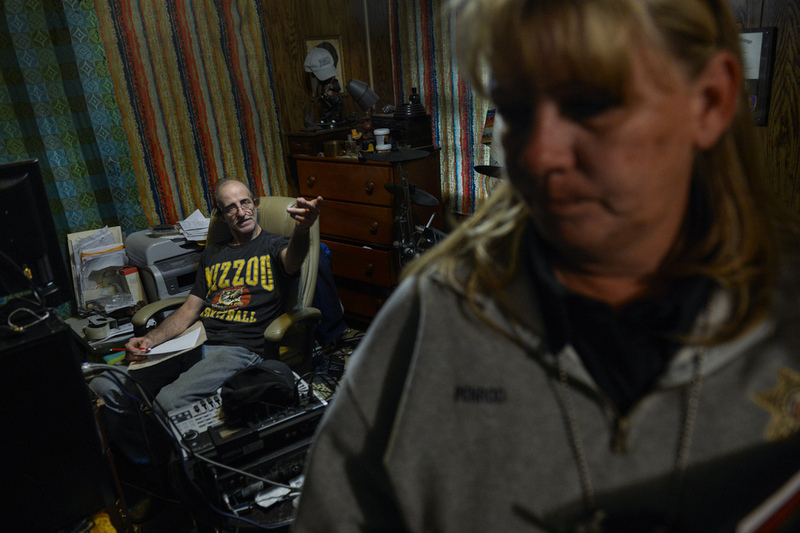 County Sheriff Detective Nancy Penrod and her brother, Platte City Police Sargent Jim Tharp, are close. They share a bond through work experiences that does not exist with other members of their family. After a long day, Detective Nancy Penrod heads home to cook dinner for her household. She lives with her sister, daughter, and granddaughter. As she drives through platte county nearly every street reminds her of past crimes committed there. Detective Nancy Penrod works all of the sexual assault and molestation cases in Platte County. “I carry some of the sadness home with me, if I didn't I wouldn’t be human” -Nancy Penrod. 2013’s harvest yielded more tomatoes then Detective Nancy Penrod’s family could eat. In 2014 however, her garden has gone neglected as the only other Crimes against persons detective in Platte County is out on maternity leave. 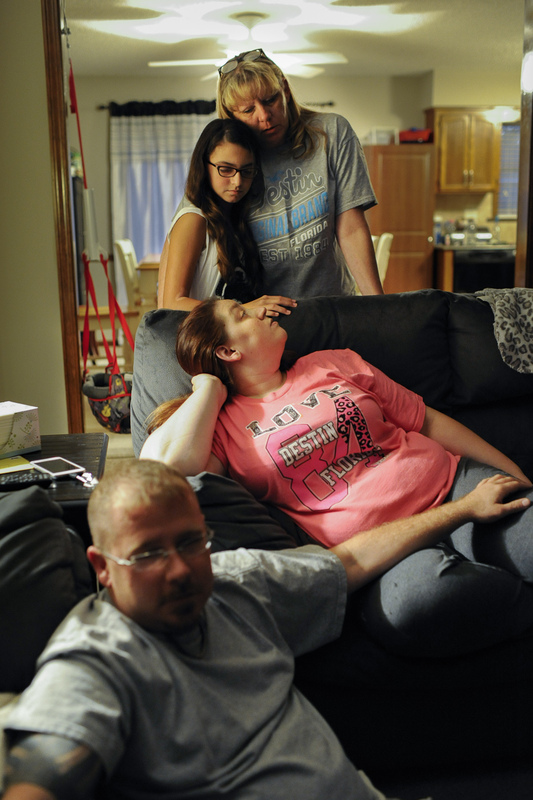 Detective Nancy Penrod shares a moment at home with her daughter Ashley, her boyfriend Heath and 13 year old granddaughter Bailee. With so much time spent at work, Detective Penrod relishes the moments she can spend at home with her grandchildren. When Detective Nancy Penrod joined the Sheriff’s department in 1997 she was one of five females among one hundred and forty two deputies. She was the only woman assigned road duty. Passing the suspect interview rooms in the Platte County Sheriff’s station, detective Nancy Penrod calls home.